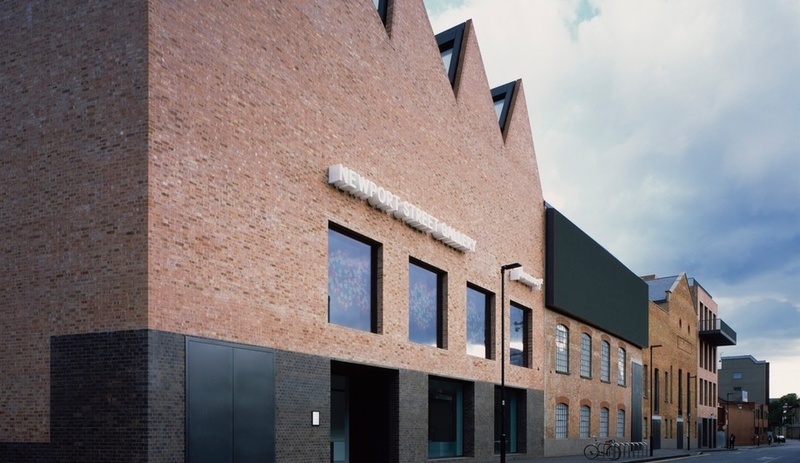 The Royal Institute of British Architects has awarded the 2016 RIBA Stirling Prize to the Newport Street Gallery by Caruso St John Architects. 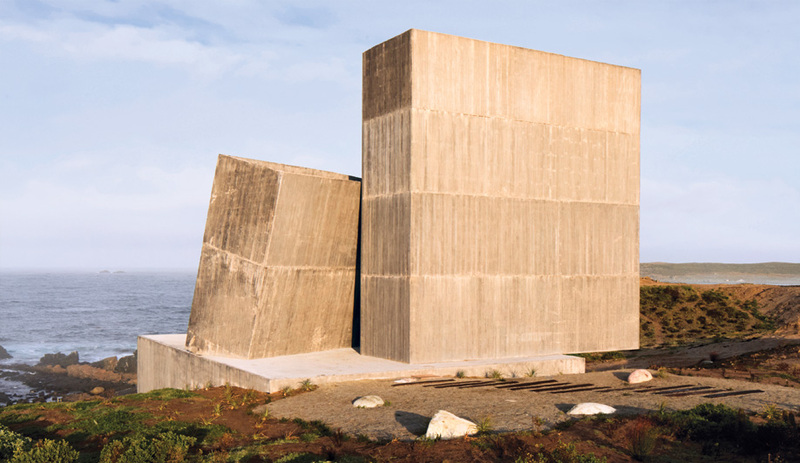 The annual prize – now in its 21st year – recognizes a single building that has made the greatest contribution to British architecture in the past year. Newport Street Gallery was crowned the winner during a ceremony held in London earlier today. Previously nominated in 2000 and 2006, this is the first time Caruso St John Architects has won the coveted prize. Founded in 1990, by Peter St John and Adam Caruso (who originally hails from Canada), the studio now operates two mid-size offices in London and Zurich. 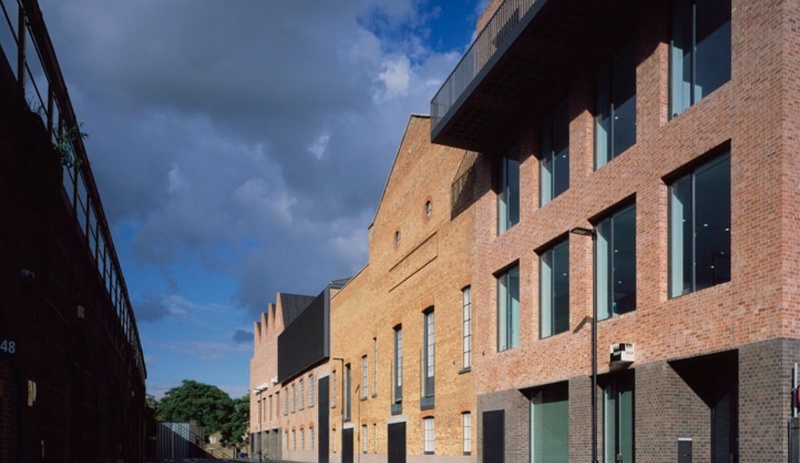 The gallery – facing the railway line on Vauxhall’s Newport Street, southwest of London’s city centre – involved the conversion and conservation of three industrial Victorian buildings, formerly used as theatre carpentry and scenery painting workshops. 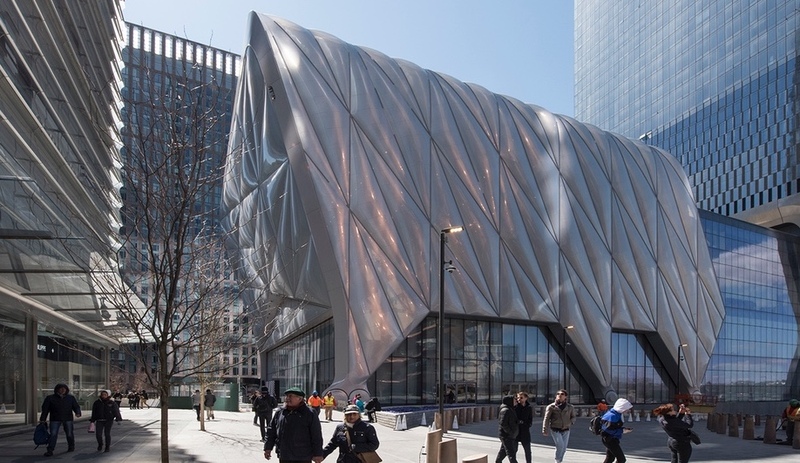 Two new volumes were constructed, bookending the original three, which all received interior remodelling and refreshed facades. A pale red brick was created specially for the new buildings, to closely relate to the existing structures. 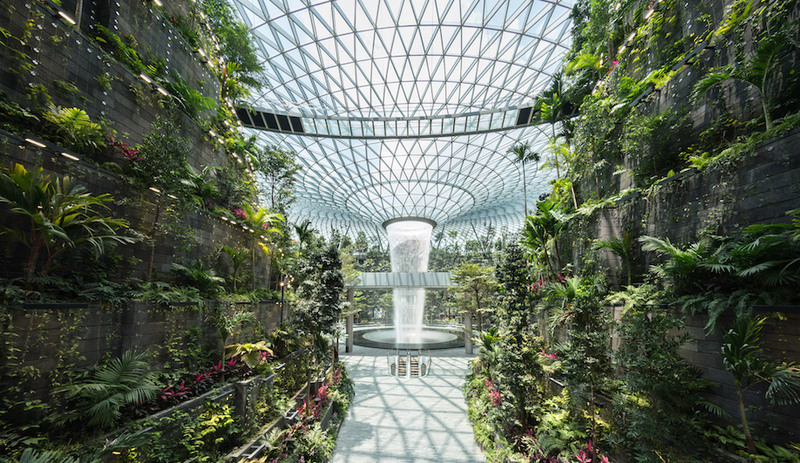 A bold, saw-tooth roof defines one of the new structures, while a super-sized LED panel, level to the elevated railway line, beckons to train commuters. Created to host artist Damien Hirst’s private collection for free public viewing, the gallery can accommodate exhibitions of all scales. The ground and upper floors are continuous across all five buildings and one central space has a ceiling height of 11 metres. 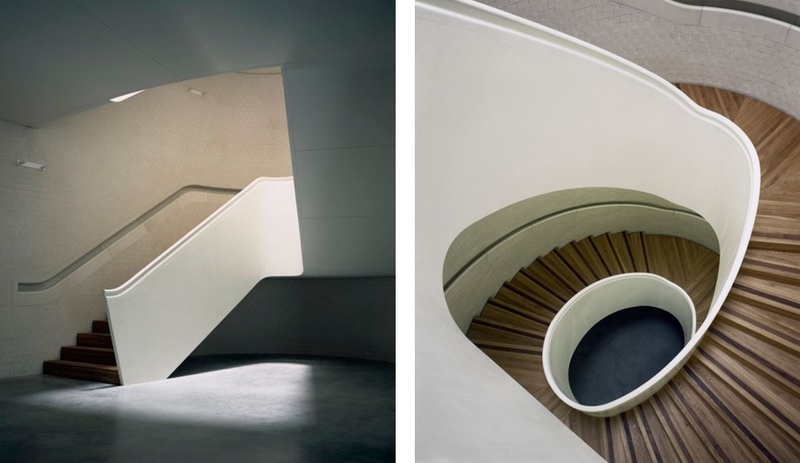 Sculptural staircases break up the otherwise austere interiors. Besides Newport Street Gallery, five other projects were shortlisted for the 2016 RIBA Stirling Prize: Blavatnik School of Government by Herzog & de Meuron; Outhouse by Loyn & Co Architects; Weston Library by WilkinsonEyre; Trafalgar Place by dRMM Architects; and City of Glasgow College, by Michael Laird Architects and Reiach and Hall Architects. Projects are judged by the originality and innovation of their vision, accessibility and sustainability, their capacity to engage and delight users, and how well they serve their intended purpose and clients. This year’s judging panel included Patrick Schumacher of Zaha Hadid Architects, contemporary British sculptor Rachel Whiteread, and Paul Monaghan, co-founder of London-based firm Allford Hall Monaghan Morris (AHMM). Outhouse by Loyn & Co Architects was announced the winner of the public vote, conducted by BBC News. More than 36,000 votes were cast, with 31 per cent in favour of the modernist, concrete home. A rural home for two artists, in the picturesque Forest of the Dean, the building contains studio and gallery space, in addition to living quarters. Fully exploiting its rolling surroundings, Outhouse is nestled into a hillside and is barely visible when viewed from certain angles. 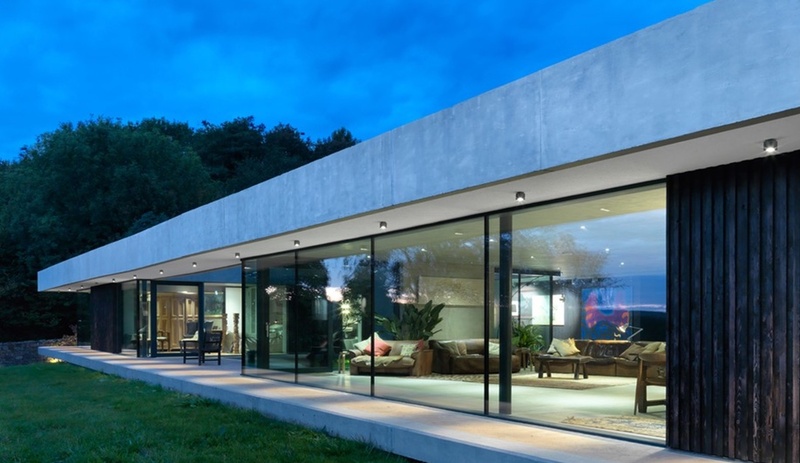 The project was the only private building on the RIBA shortlist. 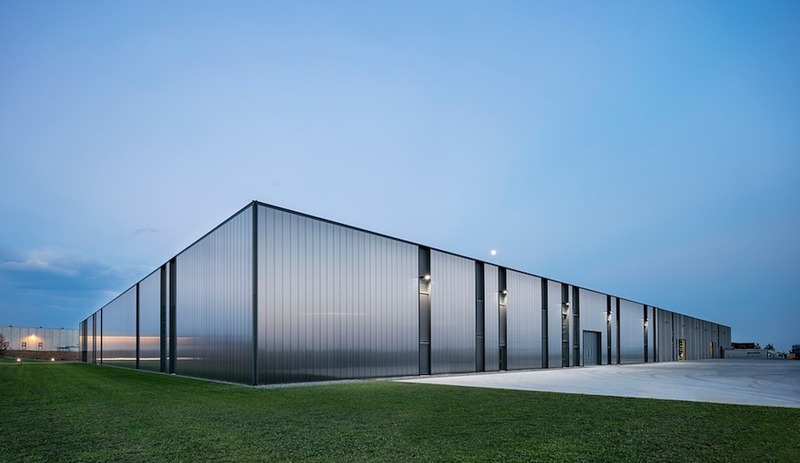 Other RIBA award recipients include House of Trace by Tsuruta Architects, winner of the 2016 Stephen Lawrence Prize for projects with construction budgets under $1 million; and Westmorland, winner of the RIBA Client of the Year Award, in honour of the role it played as client in the Gloucester Services building.